Everything we do is from scratch....we make mistakes and mess up time and time again. But, it's okay! That's how we learn and that's what this blog is... me and my mistakes, things I did right, and everything in between! I want other people to know you're not alone in not being perfect- no one is so DON'T COMPARE yourself to anyone. Enjoy! Hi there! 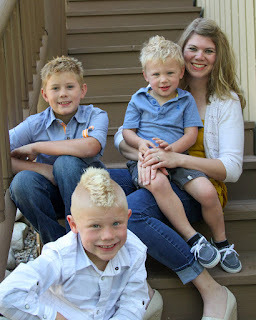 I'm a mom of 3 boys and happily married to my husband for the past 13 yrs! I work full time and try and take care of everything home related as well- basically I'm tired and loving life! 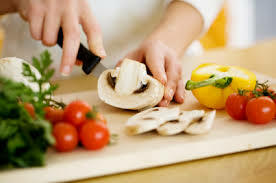 I love to try new things- especially cooking! I love the outdoors, music, old movies, church, and my family! I tried this recipe a few weeks ago and the best part besides it being tasty, healthy, and easy... I already had everything at home in my kitchen! Best news ever, for any mom at dinner time and you don't know what to make. 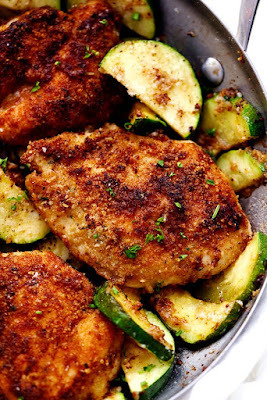 Alyssa @ http://therecipecritic.com helped me with this nice one pan (sweet not as many dishes) meal for my family the other night; Crispy Parmesan Garlic Chicken with Zucchini. First: you can easily make this gluten free by using gluten free flour and you could always use panko crumbs instead of the bread crumbs. What's the difference you ask? Not much except for panko is made from white bread and bread crumbs are made from a variety of breads. The texture is also a different and panko has pretty much no taste so make sure you have Italian seasoning in your cupboard if you plan on making this. Panko also absorbs less oil than bread crumbs making it a little more crunchy and crispy. If you're kids aren't big on the zucchini, add a salad or some cooked carrots, or a baked sweet potato. Any of those would go great with this meal. Hope you all try this recipe and enjoy it! For the full recipe please visit the link below the picture. Happy New Year! The holidays were crazy, fun, and over... I would like to thank my family for putting up with my mom crazy. There was lots of food, family, service, and new recipes to try- all my FAVORITE things. Here are some that I recently tried and I WILL be making again! 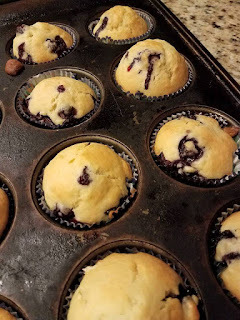 The first one comes from a favorite of mine @Averiecoooks: I had bought a large carton of blueberries and was going to make muffins for the family but my husband said he couldn't eat them until the weekend for his "cheat day". So like anybody now a days, I went to Pinterest for some inspiration for "clean/skinny" muffin recipes. Averie saved me again! My family loved them! Husband wanted to take them to work and my oldest crazy ate 3 for breakfast! Alisha's tweaks: I don't think I would change a thing! why change a good thing. 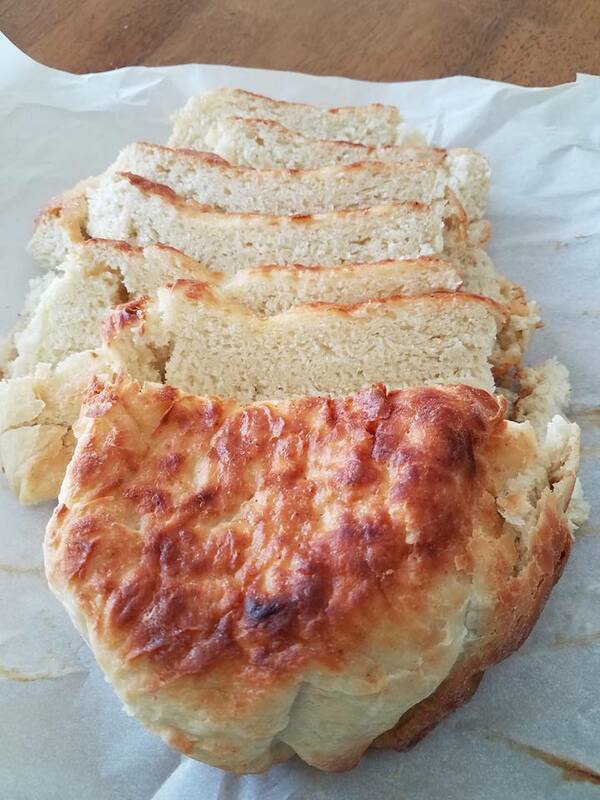 No tweaks needed for this recipe either- when you find a good one you keep it! Plus it's only 6 ingredients! Now you could use wheat flour to make a nice honey wheat bread- I might just be trying that this weekend. *my bread fell because I moved it to soon to check the bottom- so be careful of that. I don't know about you but my calendar is filling up fast and I'm trying not to pull all my hair out in the process. This can only mean one of two things... it's not the holidays yet so it must be BACK to SCHOOL! I work full time so my kids don't really get a "summer" but we do try and take them to some places when we can and give us adults a little taste of vacation while we're at it. With that said, it's not a huge transition but man... just looking @ my calendar I'm tired. My oldest is starting Junior High (that makes me feel old), middle one will be in 2nd grade, and the baby will be in pre-k! STOP GROWING- It means I'm getting old and I don't think that's possible. One of the things I LOVE about our amazing school district is that we can pre-order the school supplies so I didn't have that crazy shopping trip, thank you very much. My mom, oldest sister, and niece took my tween school shopping while he was visiting them so that was another check off my list without having to do anything either (this is making me look like I haven't had to do anything :/ ) But now the end is near and we started football, scouts, back to school/meet the teacher nights, schedule pick ups, and looking on Pinterest on how to survive packing lunches and which first day of school sign to print off. I feel your pain, hear your tender cries of help, and I see your SOS signal when you look at me in the store. This to shall pass.. and we will look back at these days and say, "I do not miss that." We will however miss the first day of school, how excited the kids were to meet the teachers and see who is in their class. What clothes they want to wear and making sure their hair is just right. How we secretly tear up in the car after we drop them off and they have grown to old to wave goodbye. The first game of the season and the last. It is hard to watch them stumble as they grow and learn to be "adults" but, I've never been more proud as I see them become who they are and figure out who/what they want to be. My children are people and as they grow older they demand the respect they give me. Life gets crazy and our hair gets thinner, but we wouldn't trade it for anything. God has given us the gift of love in our lives when he gave us children. We (I personally) need to find those little bits of love in everyday and cherish them, because this to shall pass and we will look back on that day and say, "I MISS THAT." From my Chaos to yours-Happy Back to School everyone! Well it's almost Easter and by now if you're like me this week is filled with parties at school, church picnic's and WAY to many egg hunts. I LOVE chocolate just as much as almost every other women but all that Easter candy just adds up and by Sunday I'm not really feeling like the Easter bunny should be bringing my kids any in their baskets. 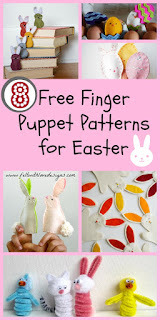 I thought some of you might feel the same way so here are some quick, small, easy, and cheap non-candy Easter basket filler ideas. 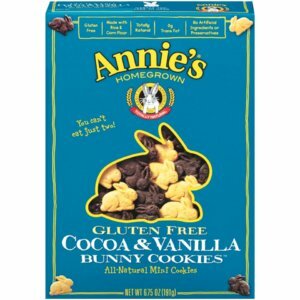 Annie's snacks- they are in the shape of bunnies! 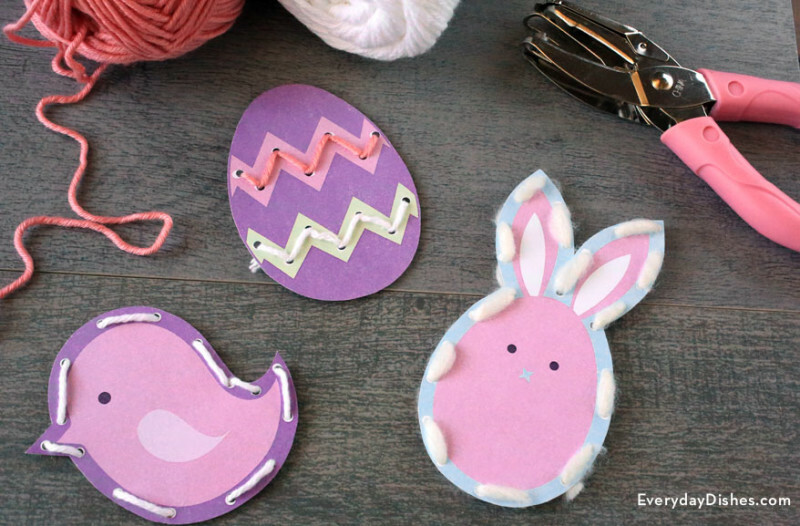 If you are feeling crafty and have a few mins to spare: A.tell me your secret and B. here are some easy FREE printables that would make a great basket filler. First we have Egg coupons from U-createcrafts.com. 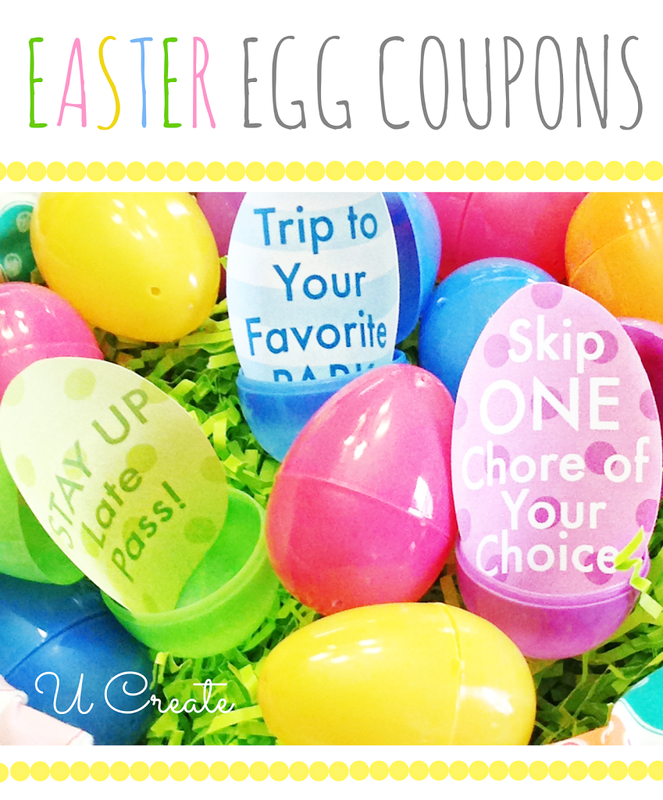 These are super cute and easy... just print, cut, and fill your eggs! These will be in my kids eggs when they go hunting. Next one I found is geared towards younger kids but if my older one gets board enough at church he'll play with them too. Easter Lacing Cards from Everydaydishes.com. Again, easy peasy and I'm going to laminate mine so they last longer. 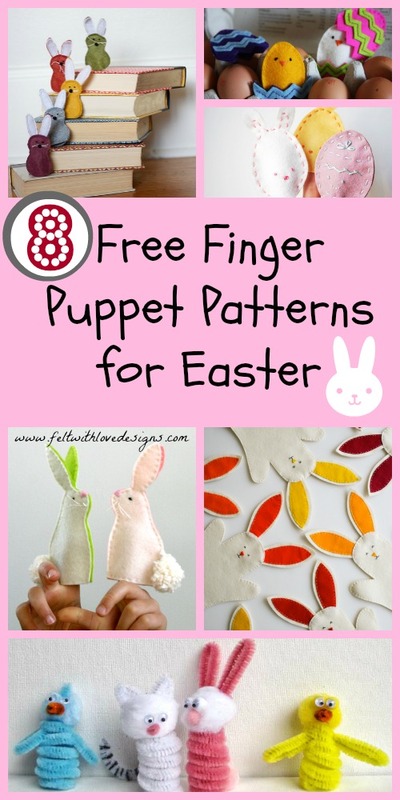 If you are feeling REALLY crafty this website has a list of 8 different finger puppets you can choose from ranging from quick and kid friendly to I hope you've got more than a few mins. to spare. All cute and great! Hope you all have a blessed and safe Easter. * I was not given any monetary means to promote or suggest these websites/items. 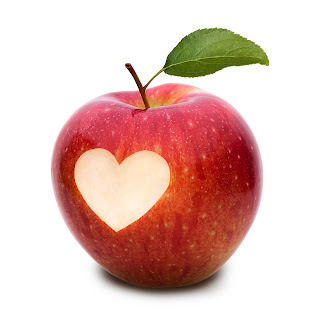 As a "Resident Mom" for Skinnymom.com I get wonderful opportunities to share my ideas, but what I love the most about it is the wonderful community of other women who share their thoughts, idea, recipes, and encouragement a long the way. This past "Blurb of the Week" was all about time saving tips... love it!! I got to include my two cents and also got to read some other really great ideas from some of the other ladies. I don't care if you stay at home, work away from home, or in your home...dinner time is a little crazy and with 3 boys stating the are "starving!" I have got to have a plan. 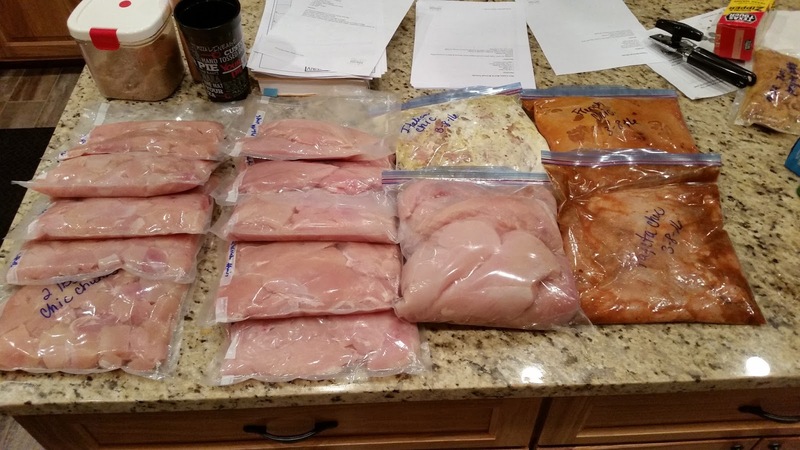 I do A LOT of food prep in my "spare time." I find it really does save time during the week as far as dinners go and also to help keep me on my healthy eating track. Making a weekly menu plan, going through my cupboards checking off items I don't need at the store and checking my coupons before I go shopping really helps me keep on budget and not get over whelmed and buy a lot of things I don't need. Then when I get home I look at my recipes and see which items go with what dinner and try and keep them all together so I don't have to go searching for an ingredient when I'm about to burn something. My husband helps a lot with this as well. We work together in the kitchen to cut up the fruits and veggies (that won't go bad) so they are more accessible and I don't spend as much time cutting things during the dinner rush. Last night My husband and I prepped 40 lbs. of chicken we got from Zaycon Farms zayconfresh.com/refer/zf452682. It was a ton of chicken, but at $1.69 a pound I couldn't pass up the deal. 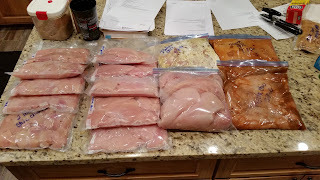 Together with my trusty FoodSaver, my husband and I bagged 5-2 lb bags of cubed chicken, 5 bags of 5 thin sliced breast, 1 gallon bag of breast ready for ground chicken meat that I'll do tonight and 3 ready to go chicken freezer meals. I don't so this much prep on a daily basis but doing every once in awhile helps my grocery bill down and my freezer stocked. 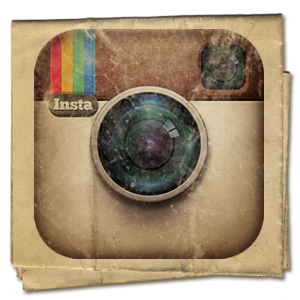 I'm on Instagram as @aliher78640. My kids were beyond excited for spaghetti and meatballs last night until that is they saw it wasn't the usual spaghetti that I make. First of all... I never make meatballs for our spaghetti and secondly these meatballs weren't beef!!! As my husband and I go through our clean eating lifestyle change our kids aren't always as eager to try new recipes but I will give them credit... they did all eat at least one "vegetarian meatball" (that's what they called it because it was made from chicken and turkey instead of beef.) The recipe was very fast, easy, and great for week nights. 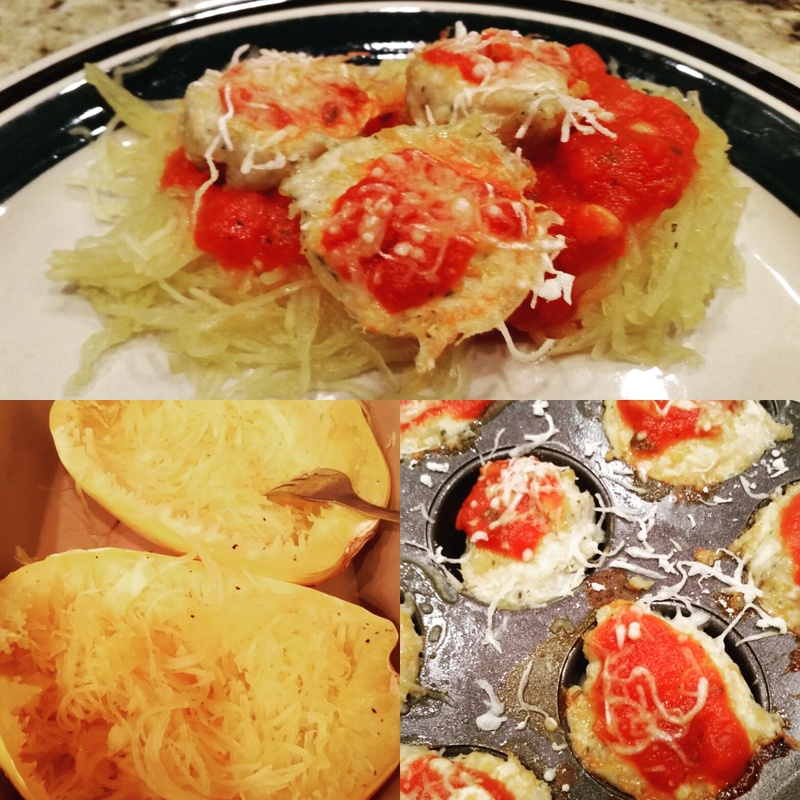 I served it with regular noddles for the kids and my husband and I had ours served over steamed spaghetti squash (harder than you would think to cook.) I was also able to make the meatballs the night before in my mini muffin tins so I'll I had to do is throw them in the over when I got home from work! Easy peasy... on to the recipe! This comes from Skinnymom.com (love it!) and I only made a few minor changes. Very yummy and we will be making this again in my house for sure...I think I'll just crumble up some of the meatballs and hide them in the sauce so the kids won't be so picky next time. Instructions: Preheat the oven to 350° F and spray a 12-count muffin tin with nonstick cooking spray, and set aside. In a large mixing bowl, with clean hands combine the chicken, egg, bread crumbs, garlic, red bell pepper, onion, Italian seasoning, and grated Parmesan cheese. Evenly spoon about ¼ cup of the meatloaf mixture into each muffin tin. Spoon 1 tablespoon of the marinara sauce on each meatloaf muffin and bake uncovered for 20 minutes, or until the chicken is done. Remove from the oven, top each meatloaf muffin with 1 tablespoon of mozzarella cheese and bake for an additional 3-5 minutes, or until the cheese is melted. Allow the meatloaf muffins to cool for 5 minutes in the muffin tins before carefully removing them. Garnish with the fresh basil, and serve 2 per person. Visit Alisha's profile on Pinterest. 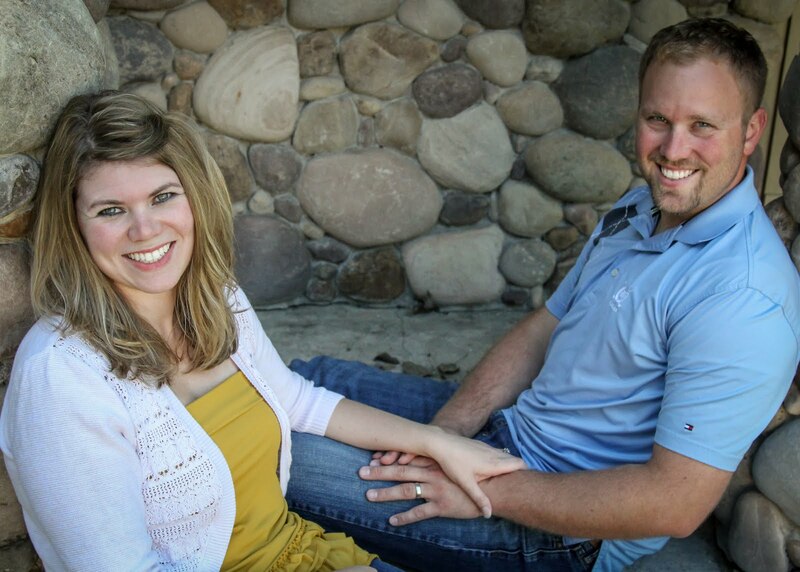 Meet Eric: My hunky, handy, makes me smile everyday husband.Without my supportive husband me and my family would be completely lost. He really is the Love of my Life! These are my crazies: Seth, Chazin (or to him "my name is Chaz"), and Truett. They keep me on my toes and teach me more about myself and the world than I would have ever imagined possible. They bring Eric and I a sense of JOY that we would never know without them in our lives.